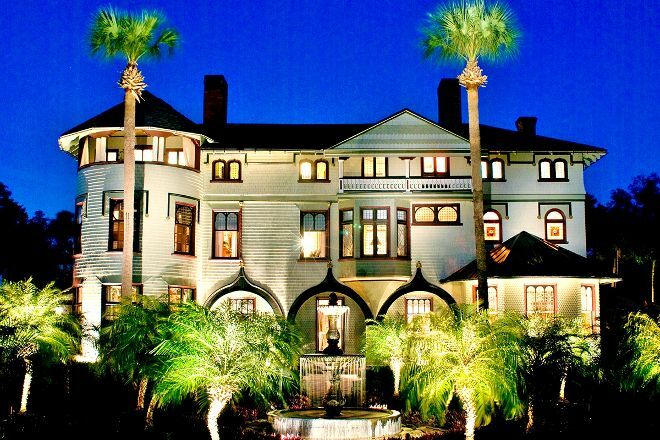 For a glimpse into the opulent 19th-century lifestyle of one of Florida’s wealthiest residents, head intoStetson Mansion, one of Florida's most historic houses and its only Gilded Age mansion. Named “Florida’s Most Popular Tourist Attraction” by TripAdvisor, the private 1886 Victorian estate of J.B. Stetson—the inventor of cowboy hats—offers all-access tours of its styled rooms, decorated hallways, and numerous nooks. Notice the elaborate parquet floors and antique windows. Opt for a grand tour to see more rooms and the tower balcony. One of the more popular rooms, the Zen room—once a schoolhouse and now a cottage—features an original Polynesian ceiling. Tour times are limited and reservations required. Contact the owners in advance. Plan to visit Stetson Mansion during your DeLand vacation using our convenient DeLand trip planner .